The first thing I did when I got up this morning was to post my diary for the previous day. Nigerians like gist so they cannot wait for it to be posted and I thought it was better to free myself so I can focus on the rest of the day. Well, the diary is just to portray the lighter side of this trip to Spain. The more serious issues will be discussed later. I mean serious issues regarding how the team performed, what could be done better in the Nigerian league, how clubs can build their own structure etc, but for now it is the diary. 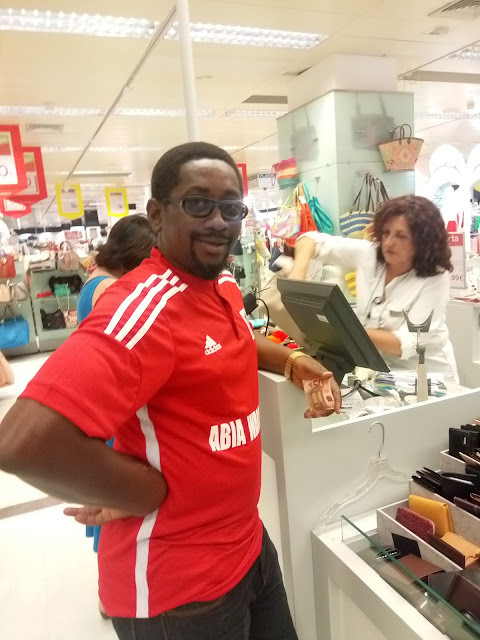 Harry Iwuala, Ayo Ibidapo and I decided to go to the mall and before we left we had spoken to Enugu based Norbert Okorie who said he saw an Igbo man selling serviettes in traffic down the road. The debate was now, “Why would an Igbo man leave Onitsha or Nnewi or Aba, as the case may be to come sell tissue paper in traffic here in Jerez, not even Madrid or Barcelona. After a short debate we made ourselves believe what he does in the open could as well be a cover up for what he does at night. Maybe he was into drugs. As soon as we were ready, we sought out directions to the mall and no one could really help because we wanted to know how far it was and if we would have to take a taxi or walk. I told them that Chris Green said after they got lost the previous day it took them just about five minutes by taxi to get to the hotel. Now that it was sorted out we needed to know what direction we would walk and when we met Mutui Adepoju who lived in Spain as a football player and still lives here, he told us it was a 25 minute walk and we should just walk straight and not make any turns. While walking, we enjoyed the scenery and at a point Harry Iwuala point out a sign post and interpreted saying with his little knowledge of French, he knew that was a library but we moved on because apparently Ayo and I had no idea what the French language sounded like. Olodo na him me and Ayo be when it comes to languages. 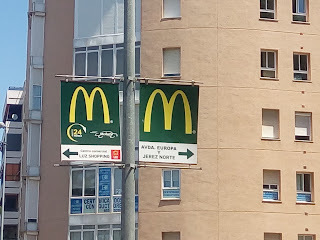 Suddenly, I saw a sign at the top which read, “Centro commercial, Luz Shopping” but it pointed to the left and not straight up like Mutui Adepoju had said. Immediately, both Ayo and Harry agreed with me and we made the left turn forgetting that Mutui Adepoju told us it was a straight walk for twenty five minutes. Then we started walking, and walking and walking and walking until Harry asked, “Abeg who check time? Mutui twenty five minutes never reach? Then it suddenly dawned on us that we had actually walked more than thirty minutes and we had taken the wrong turn. Meanwhile, the militant/ Avenger in me was a bit distracted because at that point I was in front of a gun shop and I saw different kinds of guns on display and rather than focus on directions I was asking if those were real guns or toys guns, then I saw a certain marking on one of them and I immediately knew they were real guns. Suddenly the store owner saw three black men admiring the guns and shut the door. Silly white woman. Did she think I wanted to buy a gun? And if I did, na for Spain I go buy am? Then we saw that “Igbo” man Nobert told us about. He was hawking serviettes by the traffic light and we called out to him to ask where the shopping mall was and he pointed in the direction we were already heading but said we had to take a taxi since it was really very far. At that point we knew we were lost because that was not what Mutui told us. So we asked if there was another one behind and he spoke in the affirmative. Guys, we turned round to locate ourselves but before we did that Harry asked him where he was from and he said, Nigeria and when we asked where, he said Edo State. We hailed him and moved on. By the time we got on the right path, the mall wasn’t even too far from where we made the wrong turn but wasn’t all that part of the experience? By the time we finished our shopping and returned to the hotel… on foot again, we were totally knackered and Harry (No be him again) suggested we do a beer for the road since we were tired. 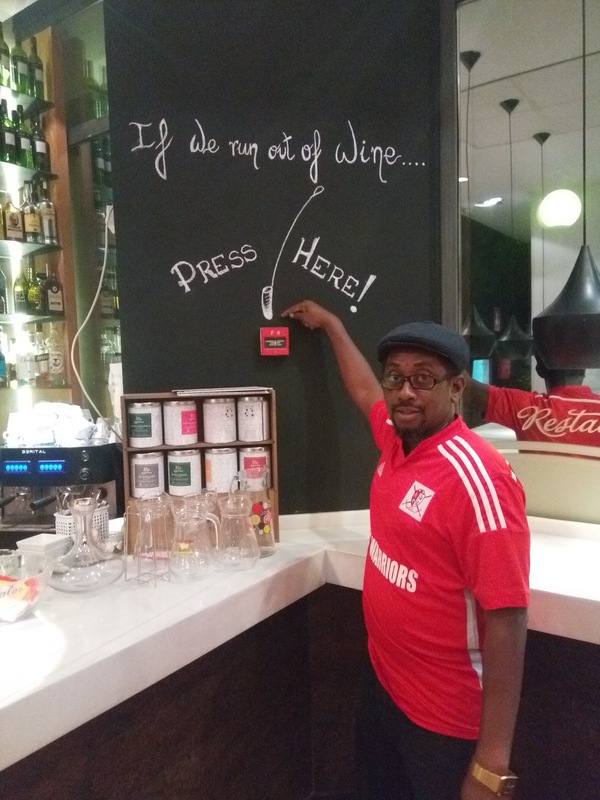 Of course, we stopped by and while Ayo and Harry did their beer (remember its two euros, equivalent to one thousand naira per glass) I did white wine. While in the moment of the drinks and gist we missed lunch. But who cared about lunch anyway when it was the same old food cooked without salt and pepper as someone put it. Then we as usual went upstairs for some shut eye and started out to the stadium for our third place match against Atletico Madrid. On arrival at the stadium, Niyi Oyeleke (remember him from yesterday?) that’s the SuperSport chap who is a Liverpool fan who also tried, alongside me to get a selfie with Fernando Torres that did not happen after a one hour wait. Chai! Niyi no go kill me. We should go again? After what happened yesterday? But on second thoughts how can I get this close to Torres and Simeone and not make contact. So I told Niyi I’m part of the plan. While Niyi and I were conspiring on how to get selfie with these two chaps, Harry Iwuala… very wicked, tricky and slimy guy. The same Iwuala who laughed us to scorn yesterday when we waited in vain for Torres, just walked up to us, a boyish grin playing on his face and showed us a selfie on his phone. A selfie with Fernando Torres. How? You could see Niyi Oyeleke’s lower jaw drop and almost touch the ground. How and where did you see Torres? 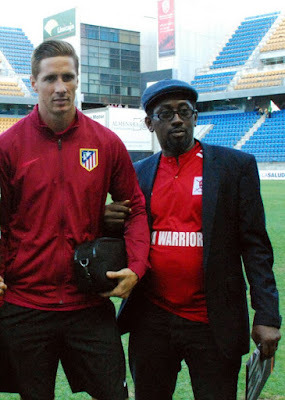 Iwuala, like a cross between an Igbo and Lagos jaguda told us he simply walked into the Atletico Madrid dressing room, found Torres out and “Demanded” an autograph first for his son, then a selfie before asking for an Atletico Madrid jersey. The Arsenal sc*m. Shamelessly asking for a jersey too? But the truth is that he did what Niyi and I had been trying to do for two days now. 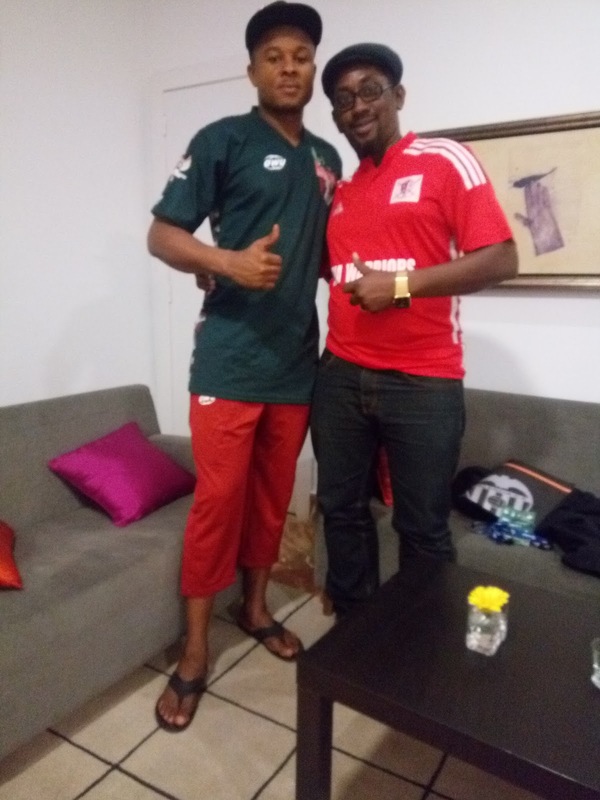 Niyi (forget his size) faster than the speed of light had dashed downstairs to the Atletico Madrid dressing room but after the stunt Harry Iwuala pulled, they had stationed bouncers around and we couldn’t get in to see Torres or Simeone. I wasn’t about to spend one hour waiting like I did yesterday so I met one of the bouncers who spoke English and he said, “photo? Now impossible. After the game, good.” Then he gave me a thumbs up. That was our cue. 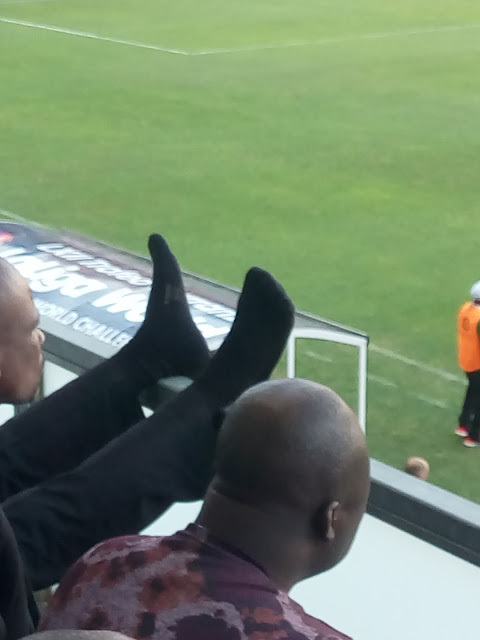 We went back pitch side and as the game was about to start, Harry Iwuala (That Arsenal fan again) sighted Diego Simeone as he got out and sat in the dugout. None of us saw him. While I was looking around and asking, “Which coach?” Harry had already beckoned on Diego Simeone and was chatting with him like some old high school mate from way back. Then I took the pictures. Niyi Oyeleke not wanting to be outdone went to Simeone and spoke with him. The man was very humble and got up from his seat again and I took the pictures. Chai! Na me go carry last? I come Spain to snap other people picture? 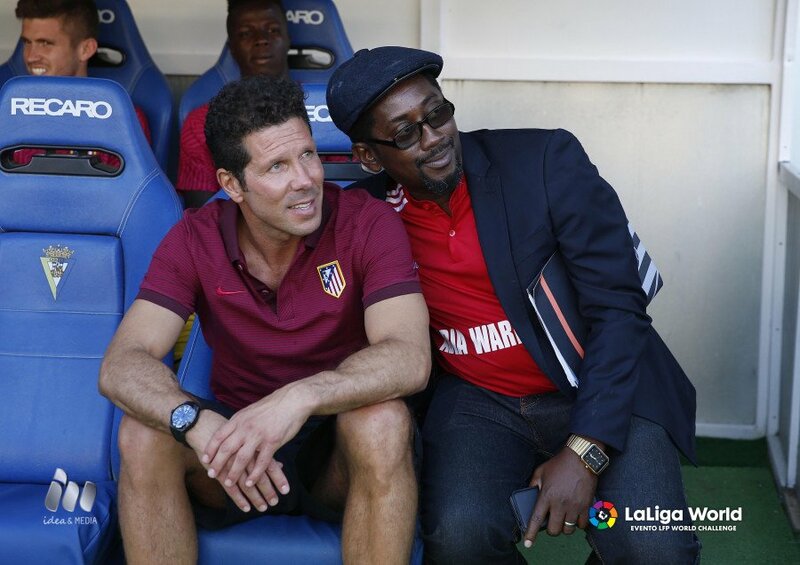 So I gave my phone to Niyi and asked him to do the honours but Simeone was already seated for the third time. When I beckoned on him, he looked at me, pointed at his wrist watch, then pointed at the field, like trying to let me know the match was about to start and he had to stay focused. Truth is that LaLiga need all that to popularize their brand more and more so I guess the people had been educated not to pass the chance of taking selfies with their fans, especially those of us who had come all the way from Africa. Someone done, but no Torres yet. He wasn’t even dressed for the game and was nowhere near the stadium. Niyi is big and should be slow, but the speed… Even Torres would have bowed. But he was very nice this time and we all had our chance with him and all that. Niyi chatted with Torres and had his selfie, I did same, Nobert Okolie too and a lot of others from the Nigerian delegation. 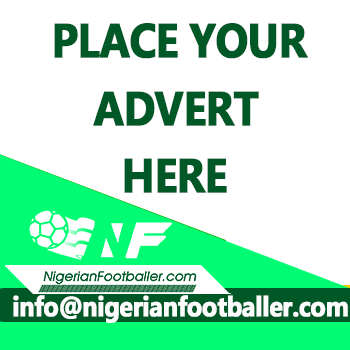 The NPFL All Star team lost the game, 2-1 to Atletico but it was not as bad as it seemed. Atletico started nine of the players they used in the European Champions League final against Real Madrid just three months ago and these were a group of local boys from the Nigerian league yet we held our own against them. In fact for scoring against Atletico Madrid, we even won the game, as far as I am concerned. As we departed for the hotel, I sat with Harry Iwuala, Niyi Oyeleke, Ayo Ibidapo and Nobert Okolie. We talked about lots of things but as we approached the hotel the gist changed to that new girlfriend we all discovered. Without a vote, we knew we were not going to eat at the hotel tonight. 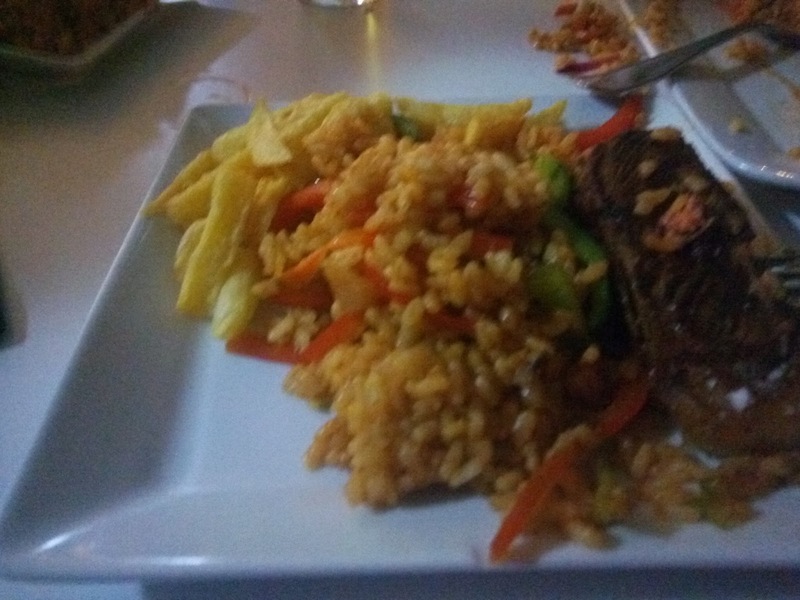 In fact when I asked if it would be the same old chips and roast beef, Harry said they could give us jollof rice. They said it was not since this was cooked to the specification they gave us. The rice came not long after and in my mind I rained curse on those hotel people. So they could give us this kind of rice since and we had been eating rubbish? The guys drank their beer (as usual). I just took a coca cola. The pepper in the rice was choking me and I was coughing but hadn’t I missed this all along. I enjoyed the meal o. But when Nobert came to join us and ordered a beer I was shocked. I told him I never knew he drank beer. In fact I never knew he did anything apart from take pictures. He did not look like a beer person or a person that did any other thing but take pictures. The sleep today would be legendary. Because tomorrow we depart Jerez/ Cadiz for Sevilla and then leave Sevilla for Madrid. As soon as I get to Lagos, I would need to compensate for all the “Bad” food I’ve eaten the last one week so I will look for a mama put, the one that has flies all over and very dirty too. That would be the best place to eat my first naija meal. Maybe I should go to that Shitta area sef. It seems dirty enough. 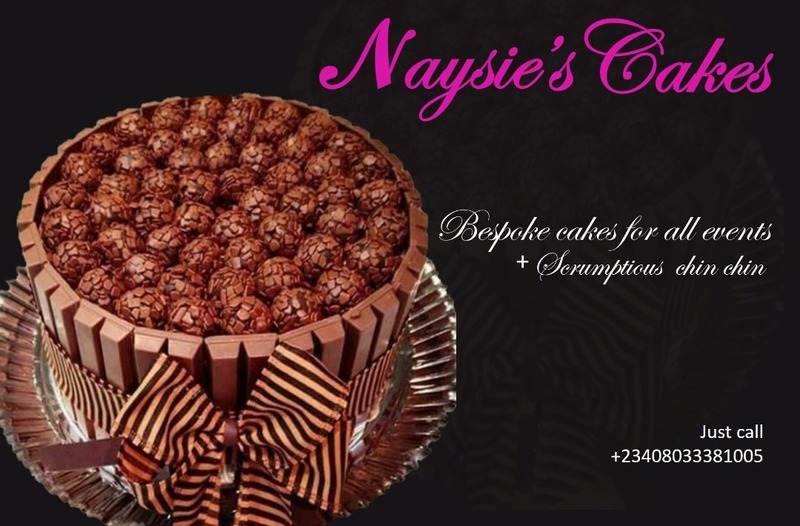 That’s the only thing that will put me back in the Nigerian spirit, food wise. Very good read. Enjoyed it!! !